In a collection of 17 exquisitely calibrated stories, this noted Lebanese writer (Beirut Blues, 1995, etc.) explores the lives of Arabs living on the cusp of modernity. With few exceptions, the people al-Shaykh writes about are urban residents, middle class, and comparatively well educated. They live in Africa, Morocco, London, or Beirut and are just as likely to be Christian as Moslem. For them, the traditional ways are not so much dying as lately relegated to a cultural storeroom, brought out for special occasions (notably when women assert themselves in love, marriage, or work). In one traditionally resonant tale, —Qutal-Quylub,— a group of skeptical village women, whose husbands are all working abroad, learn that a local magician, who claims she can do business only by moonlight, has found a comely young man to share her bed. In another, —The Land of Dreams,— a Danish missionary’s proselytizing efforts are undercut by the charms of Yemeni villagers. A beautiful young woman in —The Marriage Fair— prefers the transports of love to the stability of marriage, which she fears will snuff out all possible excitements. Determined, strong-willed women abound in al-Shaykh’s fiction. 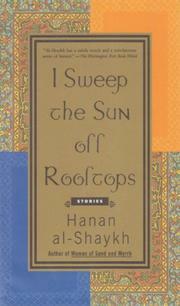 One of them, in —A Season of Madness,— feigns lunacy in order to divorce her husband and marry her lover, while a young war widow from Beirut (in —The White Peacock of Holland Park—) gradually grows obsessed with a poet. The title story tartly describes a young woman set on living in England, no matter how menial her life there, because it—ll still be better than Morocco, where one can do nothing but “sweep the sun off the rooftops.” Stories, in all, that glow with empathy and intelligence.